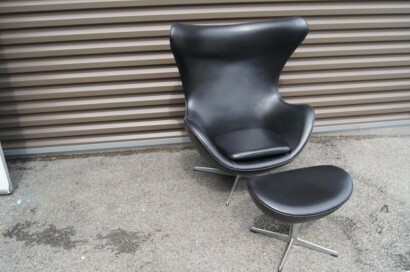 Unveiled at the Royal Copenhagen Hotel in Denmark in 1958, Arne Jacobsen’s egg chair has become one of the most coveted icons of modern design. 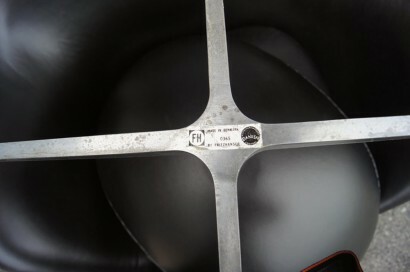 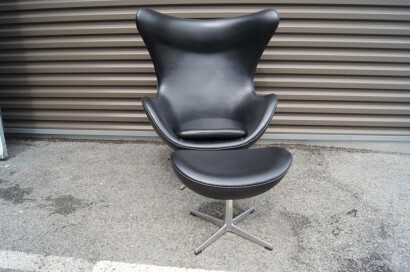 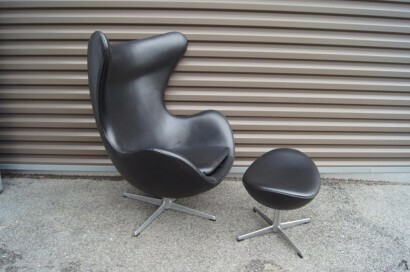 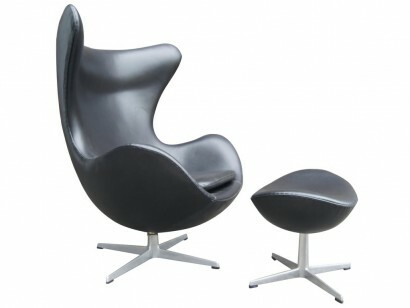 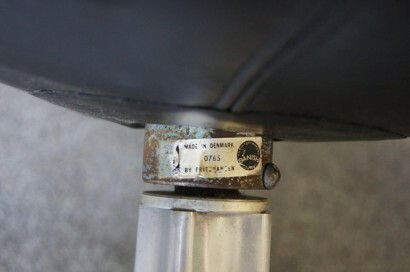 The egg chair is still hand-produced by Fritz Hansen, the original Danish manufacturer. 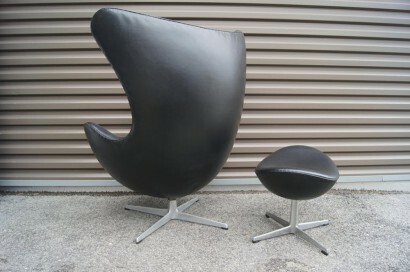 This iteration is upholstered in Fine black leather and features a matching ottoman. 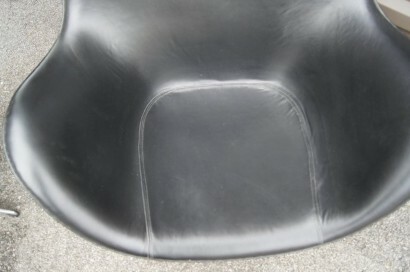 The ottoman measures 16″ D x 21″ W x 16″ H.